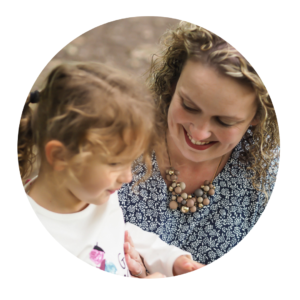 Jemma: “Adventuring in the woods is the perfect activity for our kids of differing ages – there’s something for everyone. 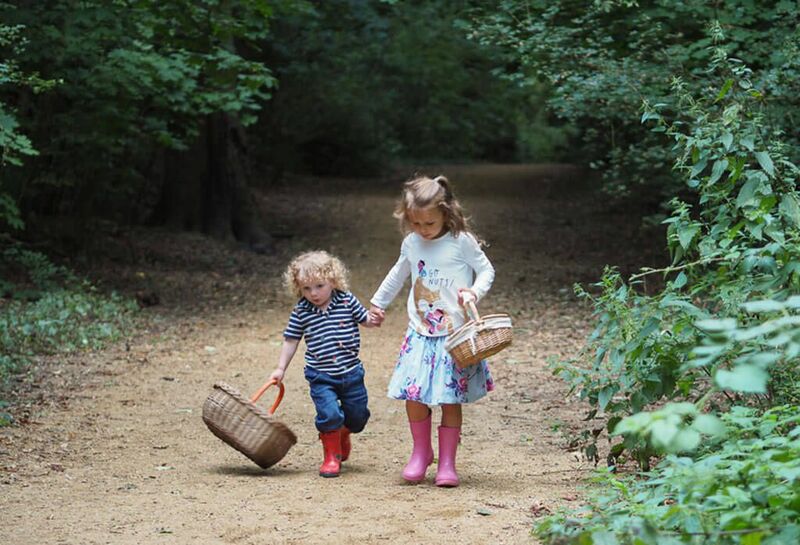 The older ones like to build dens, play games and climb trees; the younger two enjoy scrambling a little further from the grown-ups than they’re usually allowed on a normal walk and collecting ‘woodland treasures’. 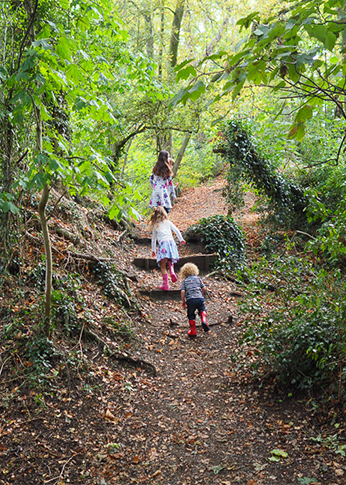 A woodland walk gives the whole family freedom. On this particular walk, it was one of those slow wandering days. We had no destination in mind, we just wanted to let the kids explore. And explore they did. We collected chestnuts and foliage, we examined mushrooms (from a safe distance) and the girls had great fun choosing different shaped twigs and coloured leaves. The boys pulled moss from a log and the littlest one collected bark scraped by a squirrel. This is a basic but effective craft. 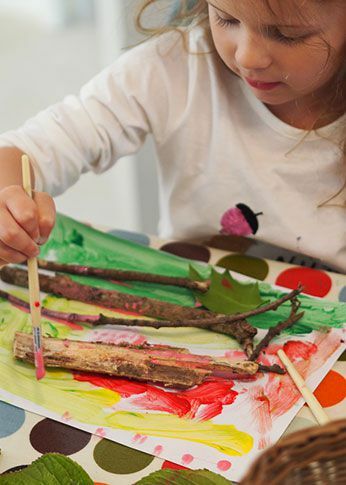 Using what you collected, allow kids to paint the leaves (or moss, twigs etc…..) and use them as painting tools. 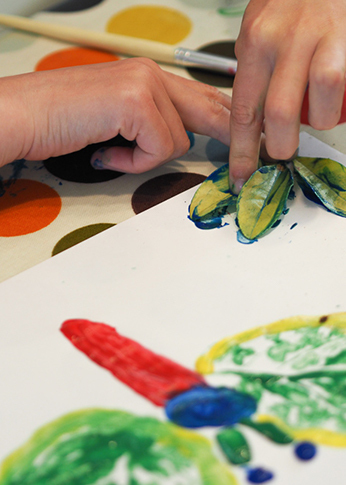 Try leaf printing onto tissue paper for a different effect and encourage your children to use different coloured paint and place the leaves into different patterns – scattered, in straight lines or even to make mandalas. What happens if you paint the veined side? Or the flat side? 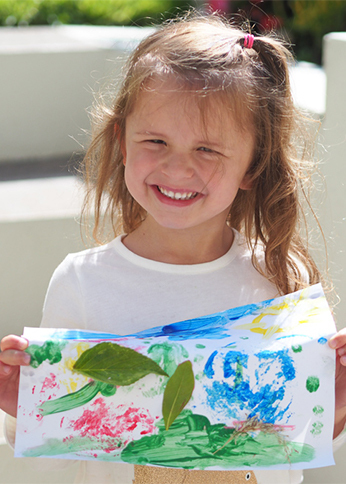 You could even try leaf printing onto fabric to make something more permanent. The best part, of course, is lifting up the leaf to see the print – kids of all ages will delight in this! 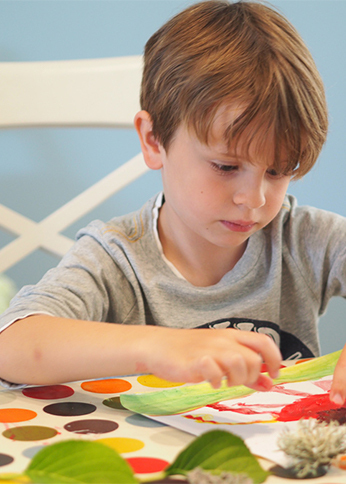 Once the paint is dry, you can cut out your leaves and use them for different crafts. Using the twigs collected, place them in the middle of your paper and glue it down. 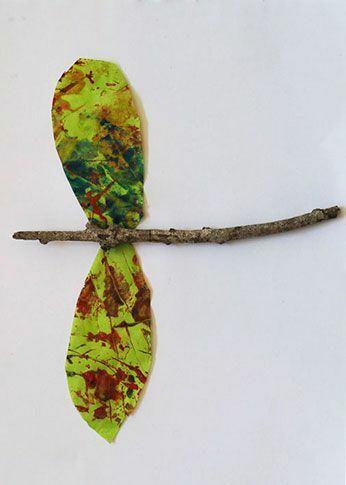 Using the leaf printed tissue paper from above, cut out dragonfly wing shapes and stick them as wings next to your twig body. Hey presto! You have your own dragonfly twig. This craft is an easy peasy one. 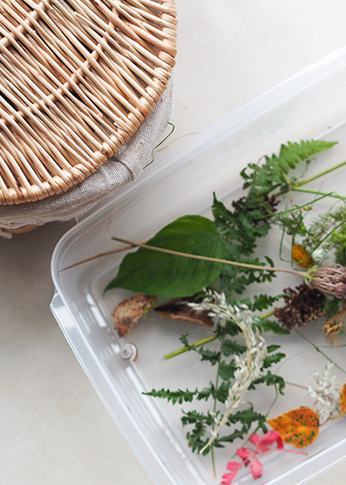 After you gather all that you collected on your nature walk, spread the nature goodies out on the table and encourage your children to choose nature elements that remind them of a story. Maybe the buttercups looks like the sunshine or elderflower looks like the clouds? Acorns might make great hats or red leaves form the part of a fire breathing dragon! 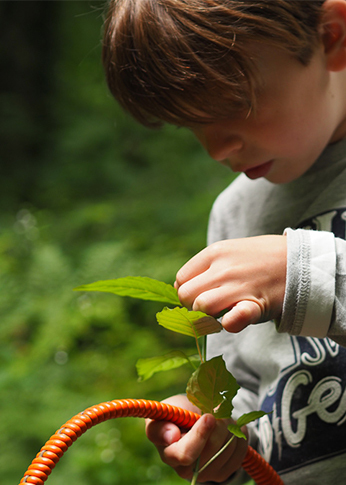 Make sure children create their nature story on the page in full before gluing it down. Remind your children, that there is no right or wrong way. Encourage them to get creative and try something new. You could end with a viewing of each of the art pieces and your child presenting the story behind their picture. For the best kind of collecting, a basket makes the ideal companion . 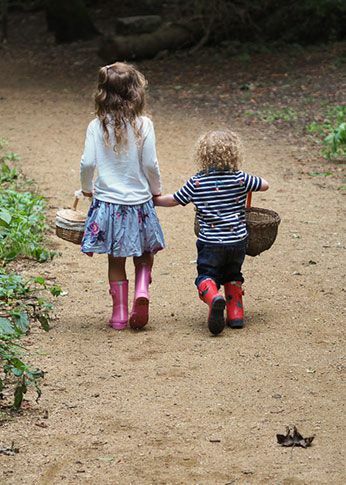 Kids love to sift through what they’ve collected and a basket gives them true pride in ‘their treasures’. 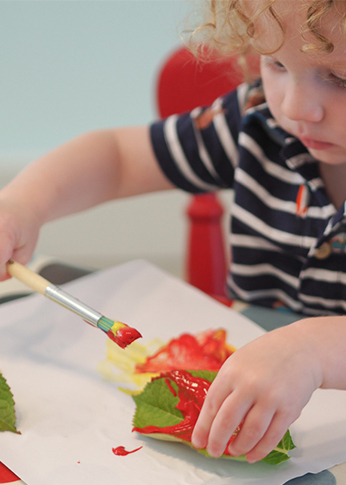 When you’re home, your little ones will want the creation to begin straight away! Have the table set with a messy play cloth, glue and paper. It works best if you can spread out all of the nature items you collected onto a big tray. Thank you Jemma, what a fantastic family day. 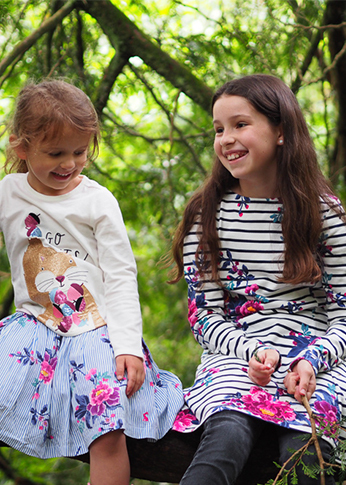 At Joules, we are helping our like-minded friends at the Woodland Trust raise awareness of the importance of protecting and creating woodland, so that it can be enjoyed by everyone – now and in years to come. 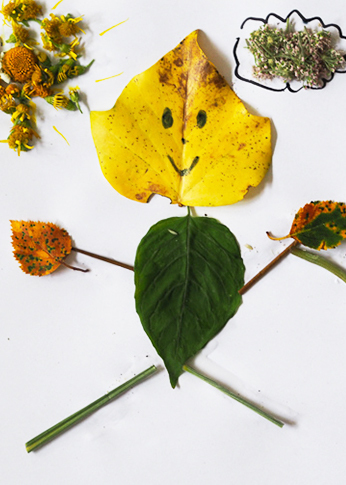 We can’t wait to see your creativity come alive with nature’s best tools!